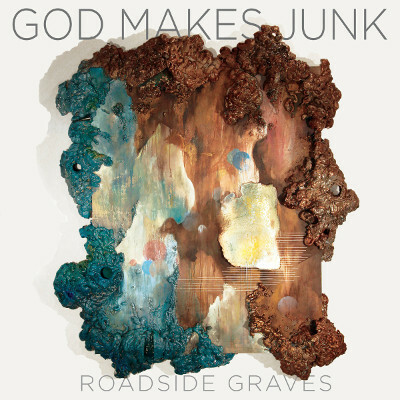 Out August 31st, God Makes Junk: 2001-2016 is a digital boxed set and rough working history of New Jersey's Roadside Graves. A hodgepodge collection comprised of almost 40 tracks, the set includes unreleased live recordings, radio sessions, remixes, demo and alternate versions, and some random nonsense recordings taped during the first period of the band's existence. "To be clear, we don’t hold such high opinions of ourselves that we think the whole world wants to hear our outtakes and demos," writes the band. "But... there’s a chance that there might be a few people in those wonderful pockets still thriving in Longview, TX., Moscow, ID, Maquokueta, IA, Reno, NV or Metuchen, NJ who do and maybe some places and people who have yet to listen." The band will perform a release show on September 1st at the Asbury Park Yacht Club in Asbury Park, NJ.